A brand positioning strategy is what sets your company apart from similar organizations. Essentially, brand positioning requires you to highlight your company’s strengths while connecting with the customer. When you think of soft drinks or computers, what brand comes to mind? Good brands make their names synonymous with a product or service. If you can associate a brand’s name with the product they’re selling, then they’ve done a great job at positioning. Strong brand association is a beautiful thing, but it takes a solid brand positioning strategy to get to that point. 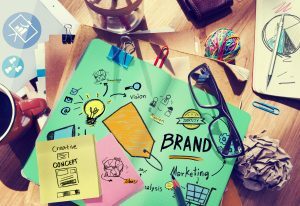 These five tips will help you create the right plan for your brand. Some businesses sell products or services that cater to a specific industry. For instance, a company may focus on the restaurant business and sell food, appliances, and other unique solutions to that sector. Industry specialization is about identifying a market and servicing most or all of their needs. Customers tend to trust companies that concentrate on a specific industry. When the company sells multiple solutions, consumers look at them as a one-stop-shop and it simplifies the shopping process. Therefore, consumers are more likely to be repeat customers. A niche service and a niche market are two different things. A niche market is the same as industry specialization. A niche service or product is a unique solution that other companies don’t have. Niche specialization can be difficult because there needs to be high demand for the product/service to turn a profit. Businesses must also know how to market their product/service to their target demographic which means developing a creative marketing strategy. However, one of the benefits of niche specialization is the lack of widespread competition. Companies can also charge more for their services because they aren’t common. This brand positioning strategy is one of the most popular. A company promises to deliver the lowest price on a good or service sold by many competitors. Cost-driven positioning may seem like the best strategy, but it can backfire. Customers want quality goods/services at low prices. They may be attracted to the low prices at first, but if they find out the product is low-quality, then you’ve lost a customer. The goal is to sell the best products at reasonable prices. Many large-scale businesses higher celebs and public figures to promote their products. Now, celebrity promotion may seem out of reach for small businesses, but they can still use social media to their benefit. Social media influencers with large followings have no problem promoting a business or service for a small fee. Brands interested in targeting a specific market, like teen girls, can really benefit from using a social media influencer to promote products. In the world of brand positioning strategy, specialization is very popular. Role specialization helps a worker perform a job duty. A company that creates project management software that helps remote workers communicate is an example of role specialization. The company offers solutions that make an employee’s job easier. Creating a marketing plan that will maximize sales while maintaining credibility is tough. That’s why it’s important to get help from professionals. We specialize in helping brands learn more about their marketing options. Visit our site to learn more.